Colorado backcountry can be a great place to enjoy solitude and fresh lines, but a basic skill set is important to have before heading out on your own. Let us teach you the basics so that you can start to earn your turns. Both Ski and Splitboard options available. 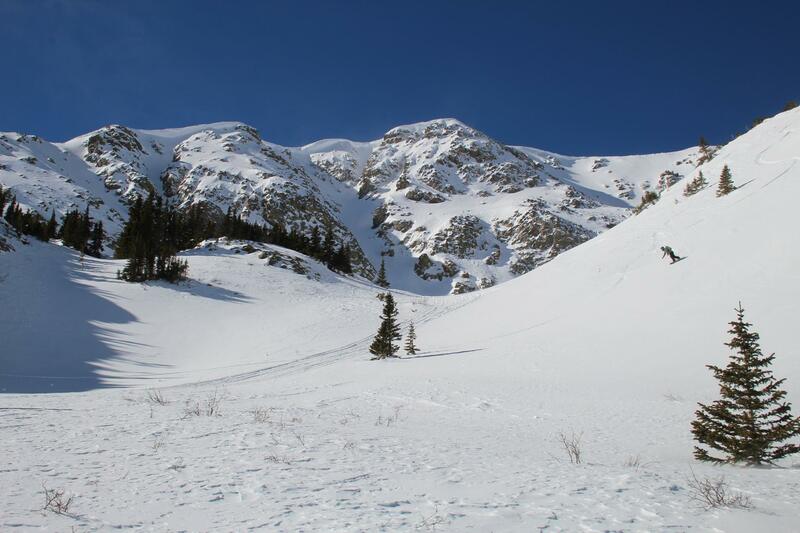 Learn what it takes to begin venturing into the backcountry. Start off with an introduction to gear and weather observations. Then head out to the trail for a basic out and back tour through the woods. Gain familiarity with basic splitboarding techniques and efficient backcountry travel. Special focus on quick change overs so that you can keep up with your two planked friends. Learn the basics of companion rescue with realistic scenario practice to help improve your skills. We will cover both single and multiple victim burials, quick probing techniques, and effective shoveling. Intro to Backcountry, Essentials Course, and Avalanche Rescue. Or equivalent experience. Time to go and smash pow with a small group in the backcountry! Emphasis on group management and dynamics, and also making turns.